I'm back. My new venture's been launched and time [and the economy] will tell whether it's a success. MRIS released its data for April, May, and June since my last post in March. 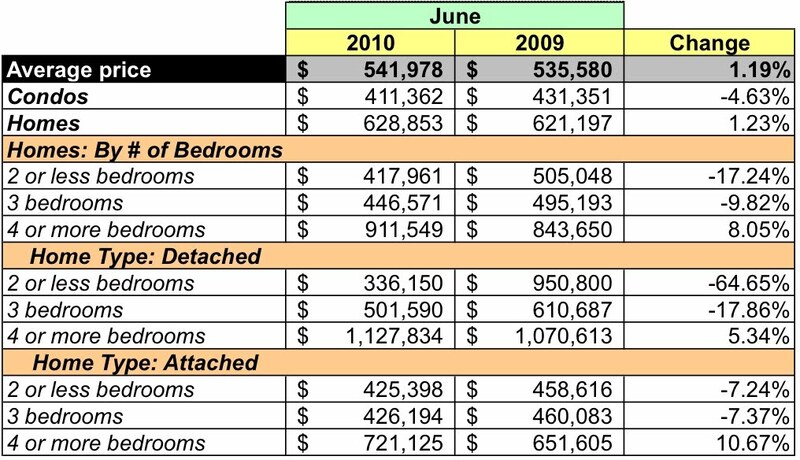 Although it'll release its latest report for signed sales contracts for existing home and condos in the District on August 10, I thought I'd start catching up by posting data for June; April and May will follow. Need I say it? Dollar and sales volume up, prices flat to negative. Not much has changed! YoY, aggregate dollar volume increased 18.39% and the number of units sold increased 16.99%. However, average sales price rose a measly 1.19%. 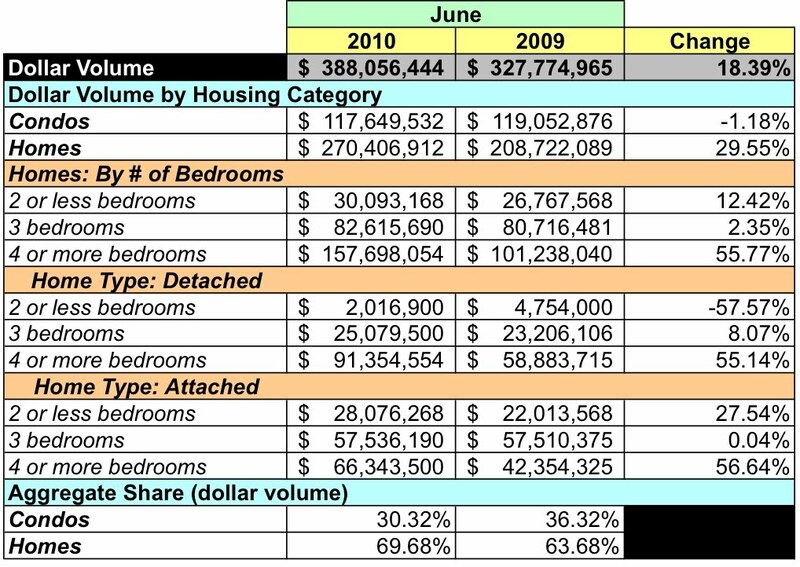 Condo dollar volume fell 1.18%. Home dollar volume leapt 29.55%. 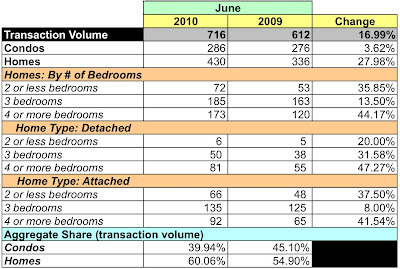 Condo sales volume increased 3.62%. Home sales volume grew 27.98%. Condo prices dropped 4.63%, while home prices were up 1.23%, essentially flat. 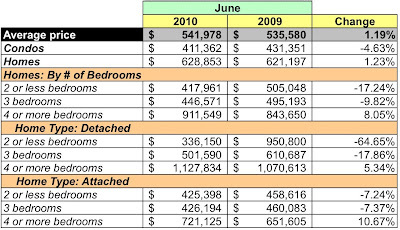 Interestingly, at June's sales rate there's a 5.7 months supply of condos and 3.81 months supply for houses. Both metrics imply a tight market, which makes the flat price movement even curiouser. 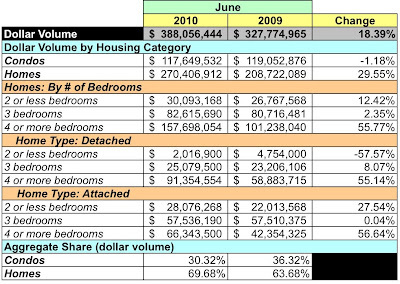 Moreover, compared to May the condo inventory grew 9.75% while that of homes fell 17.06%.